architecture in france surveys the contemporary condition of the country’s built environment, showcasing a range of innovative projects and the diverse materials and unconventional forms employed in their construction. architecture in paris surveys the contemporary condition of the city’s built environment, showcasing a range of innovative projects and the diverse materials and unconventional forms employed in their construction. 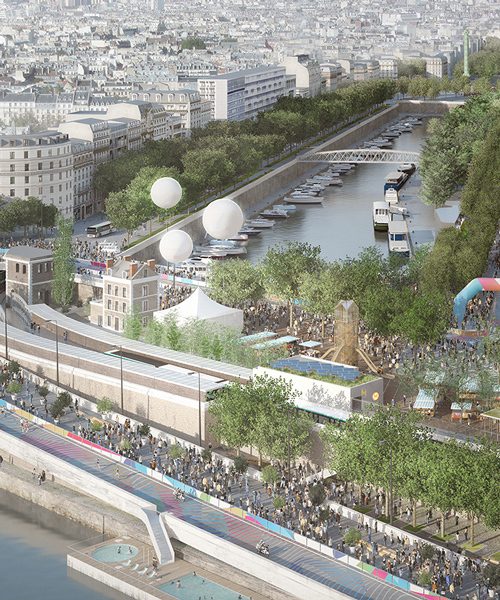 US studio SO-IL and french firm laisné roussel have been selected to redevelop a complex plot in paris along the river seine. 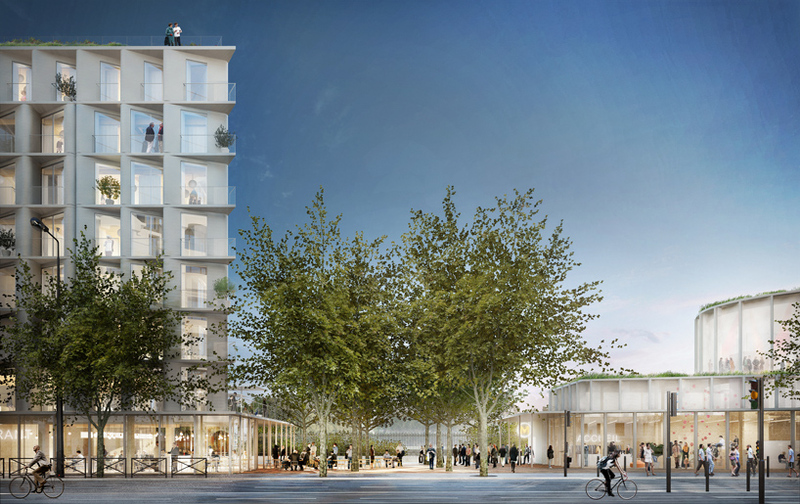 the competition-winning scheme, named ‘l’atelier de l’arsenal’, occupies place mazas — a site located at the end of the bastille axis and at the junction of the canal saint martin and the seine itself. the proposal seeks to integrate the site into the city’s historic fabric while simultaneously presenting a new and flexible urban strategy for the region. the plans developed by SO-IL and laisné roussel divide the site in two. the first area includes a seven-storey structure, comparable in scale to the neighboring haussmanian buildings. constructed from locally sourced timber, the volume features a co-living housing program, with several shared interior and exterior spaces for residents. a public restaurant is also included on the ground floor. located on the axis of bastille, the second area is dedicated to public activities. 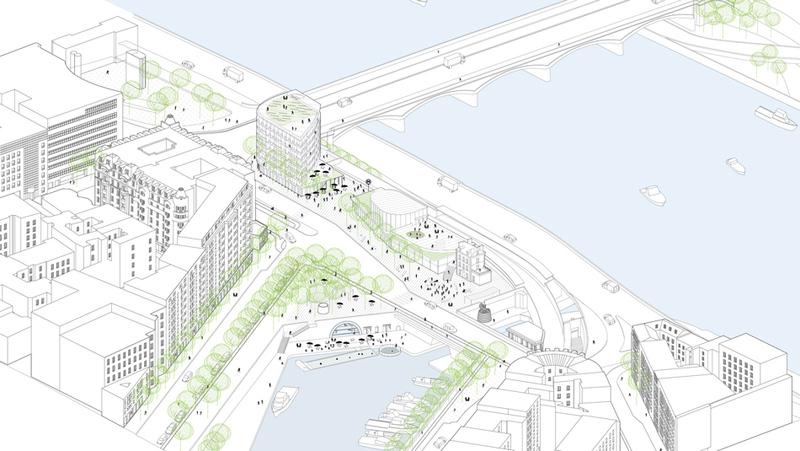 here, three new squares have been created, alongside a re-purposed lockhouse, a temporary pavilion capable of hosting a range of events, a fabrication lab, an event room, and a terrace that offers views across the basin. the design also incorporates a homeless facility already established on site. a public swimming pool, as well as a pool for biodiversity research and water quality monitoring, also form part of the plan. ‘our proposal suggests a dynamic approach in city making, one that considers history as well as the complexity of today’s conditions while allowing room to accommodate future transformation,’ says ilias papageorgiou, partner at SO-IL.